Reflections in the Puddle: Age-Gap Romances, Regret, and Loneliness in After the Rain. | Isn't It Electrifying? Reflections in the Puddle: Age-Gap Romances, Regret, and Loneliness in After the Rain. 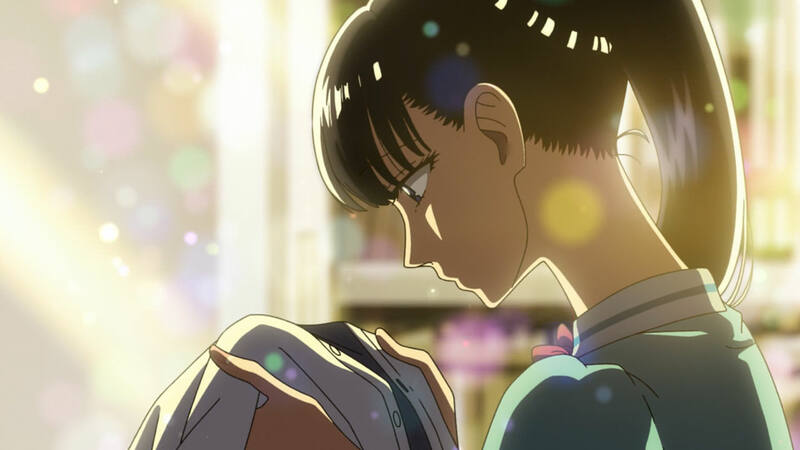 After the Rain is about a girl named Akira Tachibana who works part time at a restaurant after falling in love with the manager, but it is equally about the melancholy of missed opportunities in one’s life and the harm in self projection. 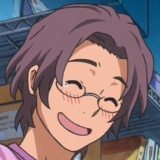 Tachibana initially was a part of the track team at her high school, but due to a serious injury, quit and so happened to meet Masami Kondo, who offers her a simple gesture of appreciation and kick starts her spiral into love. 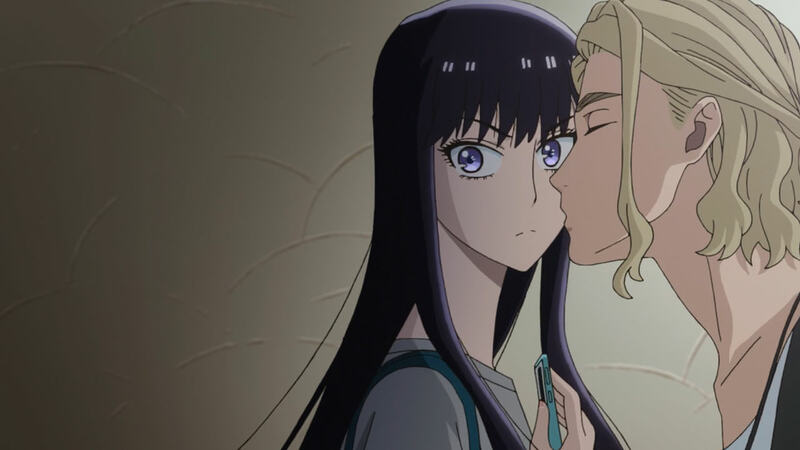 If the premise strikes one as uncomfortable, that’s because in many cases, it is – age-gap romances are often glossed over in anime, ranging from the originally charming Bunny Drop to the gorgeous Garden of Words. It appears so frequently in the medium that at a certain point, we’re conditioned to ignore it and accept it as an unfortunate standard. Part of it plays on power fantasies, but I’m inclined to believe that much of it stems from a persistent part of Asian culture and society. I can’t necessarily speak on behalf of Japanese culture, but as an Indian girl, there is much I find about After the Rain to be powerful as much as relatable. Much of Indian culture (and what I believe, Asian culture overall) is firmly entrenched in the value of respect and family. Above all else, these two things come first – before one’s career, before one’s love interests, and before one’s own selfish desires. For girls especially, the humility, humbleness, and docility are emphasized. If you are obedient, quiet, and kind, you’re praised. If you raise your voice, become abrasive, or argue, it’s considered disrespectful. These kinds of actions are hammered into your youth until it becomes a default. As a result, many Indian girls are conditioned with several constant feelings – guilt, self-sacrifice, and fear. In traditional times with a deeply embedded patriarchal society, these feelings would remain only in the household. Women didn’t have jobs outside of being a housewife or mother to children. Education, politics, and business were all handled by the husband. It was common that any position of power would be held by a man. Even to this day, that remains a fact. While conditions have progressed to the point where women can have stable careers, the ladder remains the same. If a woman wanted to rise in a position, she had to be cunningly obedient for the men above her. She had to keep her lips tightly shut. She had to serve tea. She had to not just do her job – she had to truly excel, to even be considered worthy. Much of this is similar to Western culture, but the important departure which I think, makes After the Rain a very relevant story by a woman aimed towards women, is this persistent culture of respect. As an Indian-American, throughout my life, I have noticed that it is generally far easier for Western women to break out of these shackles than Indian women. The idea of worshiping or respecting people of power, plus the idea of family and obedience, is just so deeply ingrained in our minds. It’s hard for us to get mad at men, to defy them, to say no to them. And thus, for many Indian women (and I’m assuming, Asian women overall), at a certain point, respect and the desire of success blend together into a very particular fetish – the idea that older men, or men in a higher position than you – is enticing and romantic. They combine many of the harmful tendencies embedded in the culture: of earning their respect, of being cared for in both a fatherly and equal way, and also rising to a status of success and power. In a society where a girl’s worth is emphasized only how other accept or control her – especially young adolescents still understanding themselves and the world around them, it only makes sense that an unhealthy fetish would arise to desire older men. This is where I find After the Rain so particularly interesting. The story’s tone is light, but it clearly shows that this is the reasoning behind Akira Tachibana, who has lost the one thing that made her feel like she was worth anything. She was a glowing star in her track team, and now that has been lost. 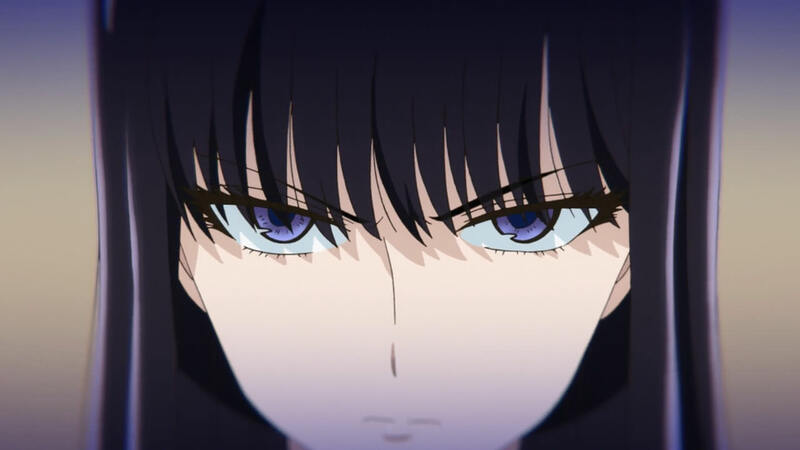 It’s worth noting that Akira is already very different from the norm of typical high school girls: she’s not docile, infantilized, or obedient. She’s blunt, rather mature for her age, and isn’t afraid of lashing against people who don’t respect her. 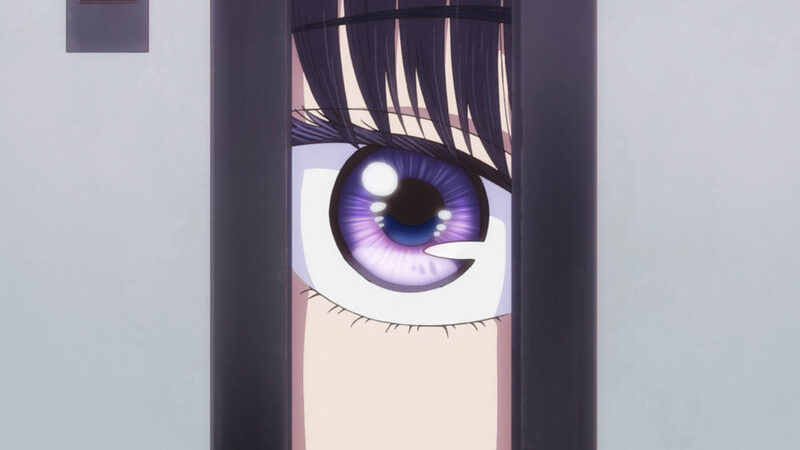 By already going against the stereotypical child-like high school teenager, Jun Mayuzuki emphasizes the one thing that’s out of line: Akira’s lack of self-awareness and her fixation on Kondo. This is important, because it’s a focal point in the series: we’re not privy to Akira’s inner thoughts, and as a result, it’s reiterated that Akira’s ‘love’ for Kondo is directly stemming from her depression, rather than a simple idea of naivety. Much of the show’s direction, as well as its cast, are aware of this; it’s the reason why Kondo has internal monologues whereas Akira does not. He’s far more aware of what he wants in life versus what he deserves and has the experience to separate the two. What Akira seeks isn’t power or success in a normal ‘girl likes older guy’ story format. 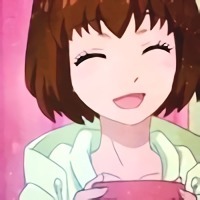 Instead, she seeks unconditional acceptance and appreciation for herself, outside the image that is Akira Tachibana, Star of the Track Team. Much of this thus steps outside the usual tropes of being a power fantasy, but in essence, Akira’s desire is still tied to the fetish of a man being a source of power of comfort and reassurance – a home that offers a father figure, a form of support, and a place where one can be wanted, all in one. And she’s not the only one. Through Kondo’s reflections and flashbacks, we become painfully aware that he too, feels lost and regretful about many of the moments he one shared with his now-divorced wife. 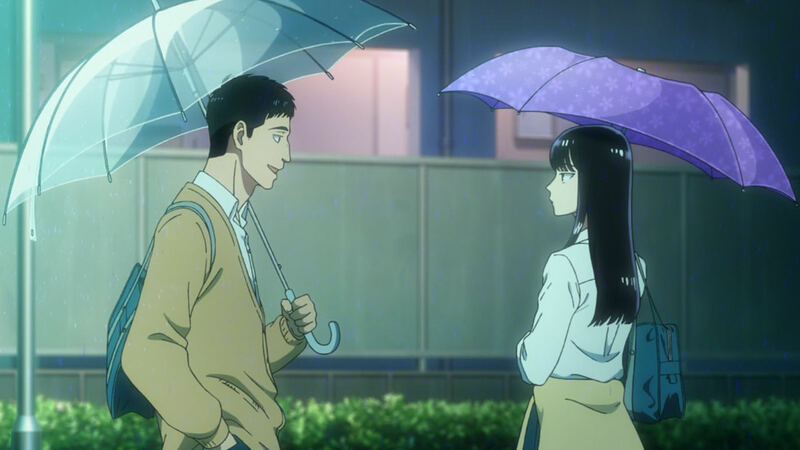 From here on out, After the Rain retracts from being a simplified age-gap romance to becoming a melancholic story about missed opportunities and self projection. It is clear that the driving force between these two’s relationship is using the other to fill up the holes in their heart; the feelings they can’t get over or move on from, and the past that sticks like a thorn, whether it be a scar or a son. It’s a pile of messy and unhealthy feelings that to me, personally, is a sore reminder of the internalized emotions I once had to overcome myself. Guilt, self-resentment, and loneliness are feelings that we all go through, but After the Rain presents them in this bittersweet way that feels entrenched in many of the customs and values seen in Asian societies. And yet despite its content – or perhaps, because of its content, it tries to to be honest. It’s true that what Kondo and Akira share are nothing but scraps of pain, but the story is about after the rain; not what comes with it. Instead of choosing to sexualize unhealthy fantasies, After the Rain presents us with a possibility that we can instead gain something fulfilling out of it. 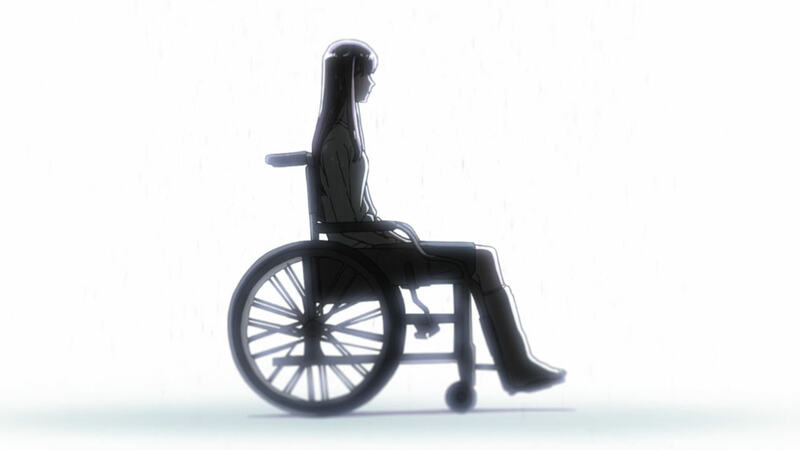 Both Kondo and Akira choose to become crutches for the other, by opening up to each other not romantically, but intrinsically as people that need others to move on from those crutches. We can’t get back what we’ve lost, but we can use other people’s experiences or mistakes as an opportunity to learn more about ourselves move on forward. This isn’t to say that maybe, at one point, After the Rain will pull a Bunny Drop and romantically pair the two together. Maybe it’ll happen, maybe it won’t. For the time being however, the series has presented itself to be far less of that and more of a delicately handled conversation of the regrets that pull us down, and the experiences and relationships that come forth in pulling us back up to an open sky. the “goodbye” from my dreams, back when I was counting the days. What a good thing we lose? What a bad thing we knew? If we had never touched, would we be smiling now? Wow, this is deep. Thanks for the wonderful review and inspiring insights! I’m a male Filipino, so I can’t attest to the experience of Filipinas personally, but Filipinos share similar values of respect and family that Indians believe in (though Filipino heritage is also very Hispanic-based like our Latino step-cousins in the Central and South Americas). Filipino families are pretty clannish that way. The times are changing for Asians as our societies grow increasingly more cosmopolitan, but it’s certainly frustrating that certain practices still persist the way they do. Gosh, thanks for writing this. I’ve only seen the first episode of Koiame—thanks to promise of visual bounties far more than any interest in the particular subject matter, which is something (age gap romances) that I tend to stay away from—but I was keen to read some thoughtful writing on the show and this post was just the ticket. I know we clashed a little the other day when I was expressing my frustration with conversations in the fandom, but honestly all I was saying that I hoped for was more writing like this. 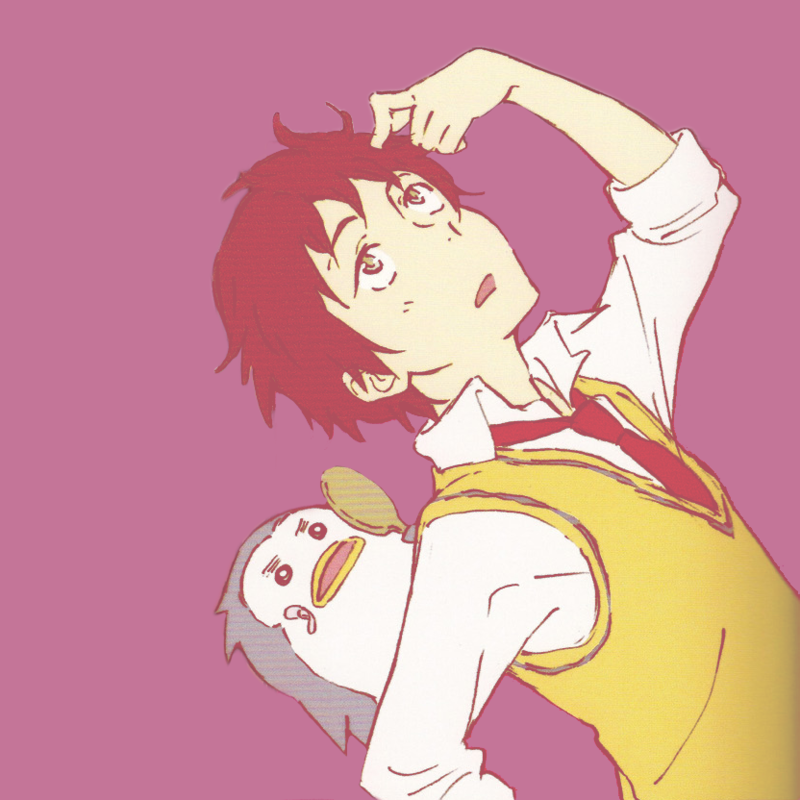 The way you express your experience with the show is so disarmingly genuine, and I think it has the potential to contribute to a deeper, more thoughtful experience of Koiame for those who care to listen and read with open minds. As to the show itself, the plainness of the moment of genesis of Akira’s crush was arresting to me. There’s no fancy or especially pretty backlighting for Kondo’s “I’m sure it’ll stop raining soon,” but the simplicity of the kindness he shows in that moment is immediately attractive and I “got” instantly why Akira’s crush started (a clever trick considering the first episode to that point emphasizes how much of a goober he is). In summary, who’s to say where I’ll ultimately ended up on this – as they begin to use each other as emotional crutches, as you say, I may be just too put off to continue, but on the other hand the light tone you describe helps a great deal in making it a show I’m keen to continue on. Thank you for reading! I’m glad you enjoyed. You explain your fondness eloquently. If I found any of what your personal framework brings to the show in what I’d watched (and if I had your confidence that it’s not going in a Bunny Drop direction, which I don’t), I’d like it better. uh yeah that goes without saying? Should I have said, “if I saw the things in it that you do?” I don’t read it in the same way, but she explains why she does well.